It’s only taken me nearly 5 years for me to get Husband to eat salmon. Mission successful! I can now make it regularly and he seems to enjoy it. 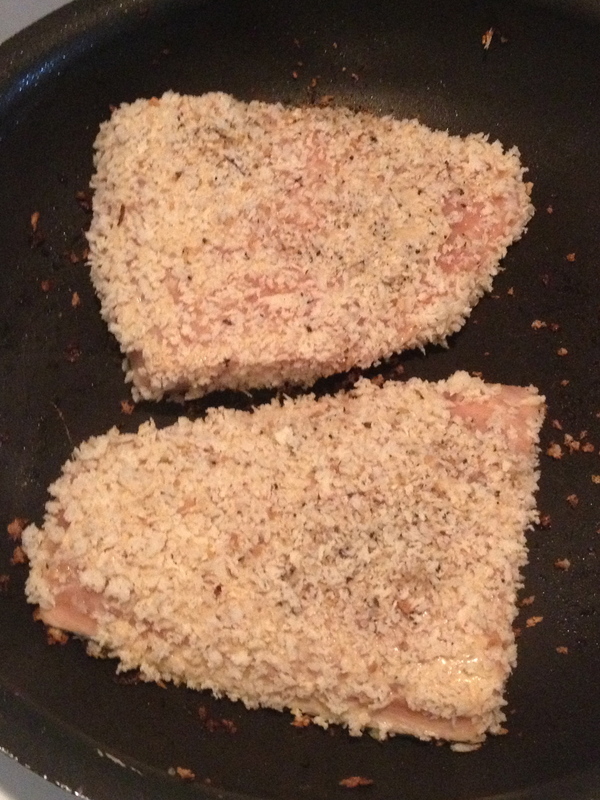 As I was easing in to making salmon regularly I tried to keep flavors and recipes simple, just so I wouldn’t make the wrong move and destroy all chances of Husband every eating salmon again. Good thinking, right? 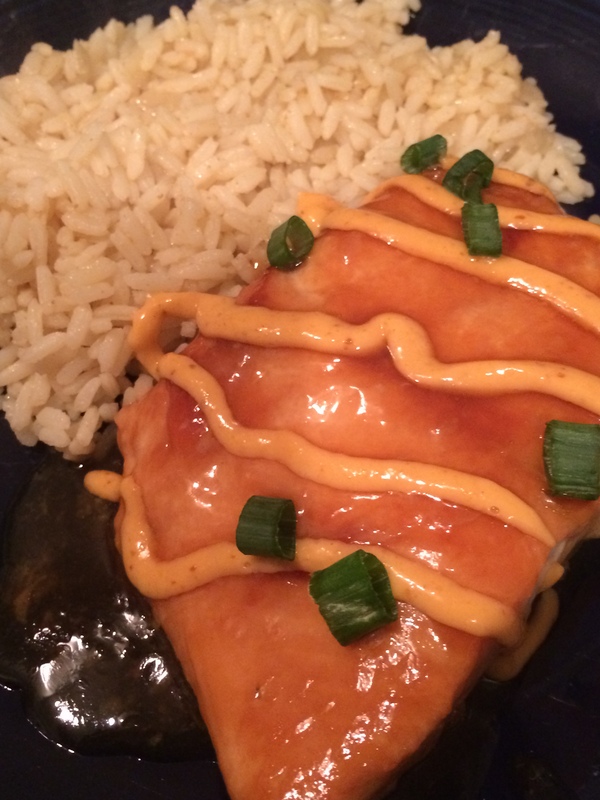 I loved the way this recipe turned out, the flavor was great and it was easy to make! It was a nice change from the simple seasoning I had been doing in the past. 1. Preheat oven to 375 degrees. 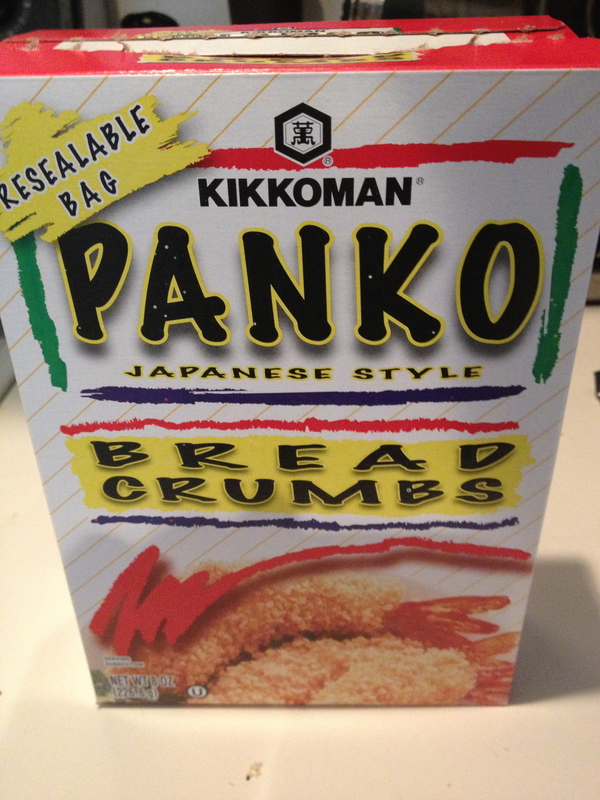 In bowl, mix together Panko breadcrumb, garlic salt, pepper, paprika and parsley. 3. On medium heat, heat skillet with olive oil. Place filets, skin side down, on skillet for 3-4 minutes. Remove from skillet and place on baking sheet. Place in oven for 8-10 minutes, or until cooked through. 4. 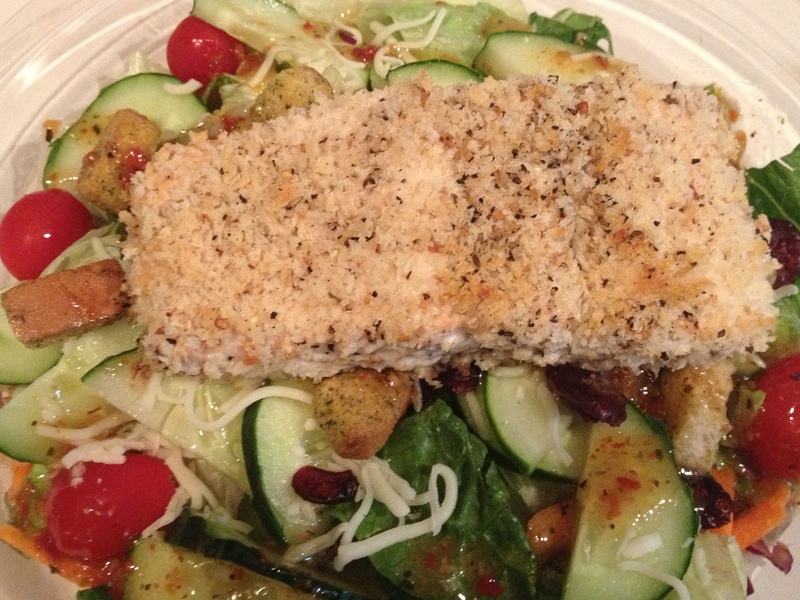 Serve with rice or over a salad.